Star Micronics has developed a LED light with a vibration power generation unit in cooperation with ITOCHU Corporation. It is officially adopted as a LED light for the new business case released in February 2014 and the suitcase released in March 2014 from Ace Co., Ltd. 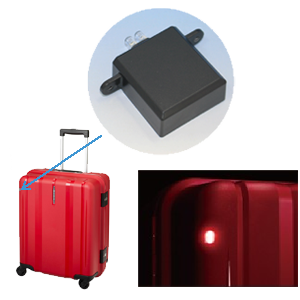 It is the first suitcase with a LED light in the world according to a survey by Ace. This LED light is the first product equipped with the Star’s compact vibration power generation unit which was released in 2013. It lights up by changing vibration energy caused when a user walks into electricity and improves visibility at night time and safety. It has no need to replace a battery and is capable of being used semi permanently under ordinary usage by using energy saving LED. Star will strive for better power generation capacity, to generate more power by utilizing various vibrations, and aim to expand sales by deploying this technology of the compact vibration power generator to other fields. 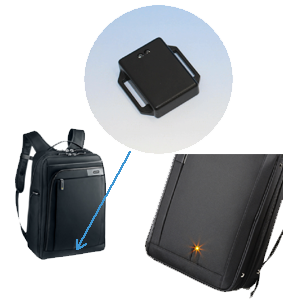 - Vibration frequency customized for the business case and for the suitcase respectively. - The orientation of vibration is optimized considering usage.